Wahab is a lawyer at Prestige Legal LLP. He graduated from the University of Leeds in 2013 and was admitted to the Singapore Bar in 2015. He strongly believes that legal services are an entitlement that everyone should have access to. He is a patient listener who is dedicated to ensuring a favourable outcome for his clients. His focus is on general litigation and dispute resolution. His practice is wide ranging from Family, Criminal Defence, Accident, Injury, Civil matters, Bankruptcy and Will & Estate matters. 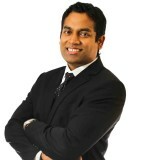 Wahab also undertakes solicitors’ work in drafting corporate documents as well as probate and trust matters. His focus is on general litigation and dispute resolution. His practices run the gamut from civil to family law as well as Syariah and criminal matters. Wahab has conducted many cases in the Syariah Courts and has also done successfully argued appeal cases before the MUIS Appeal Board. Please contact Abdul Wahab for a quotation.